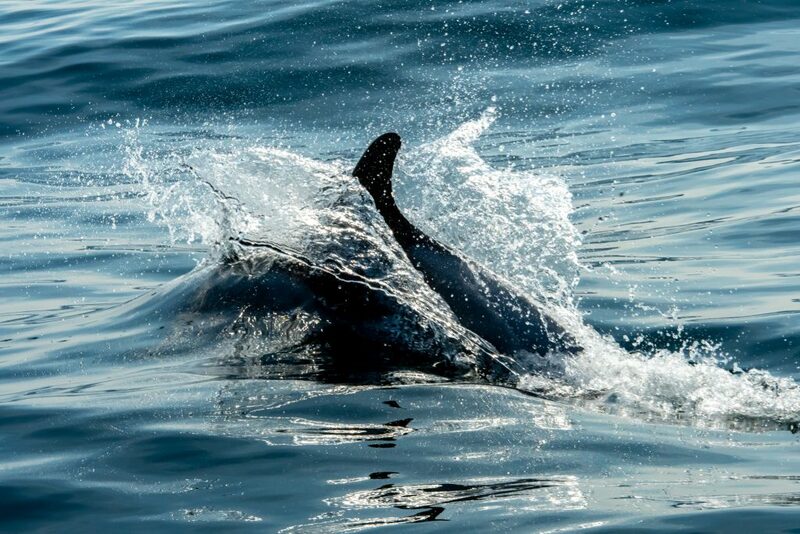 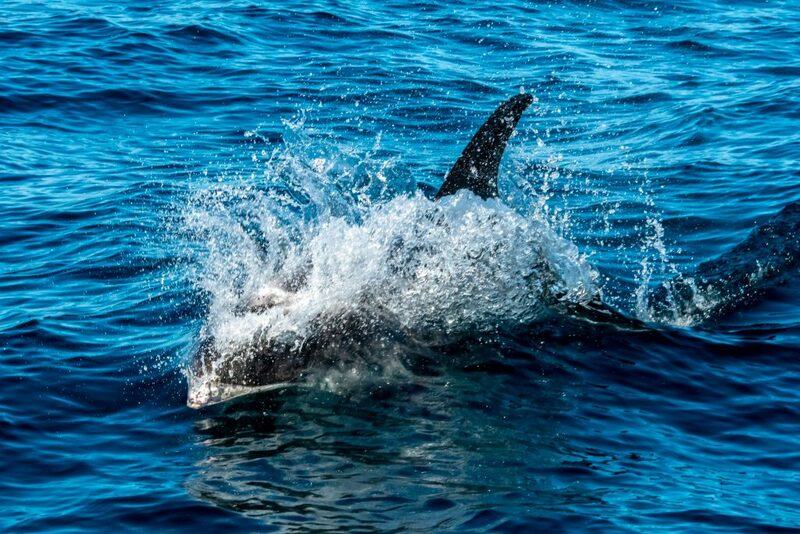 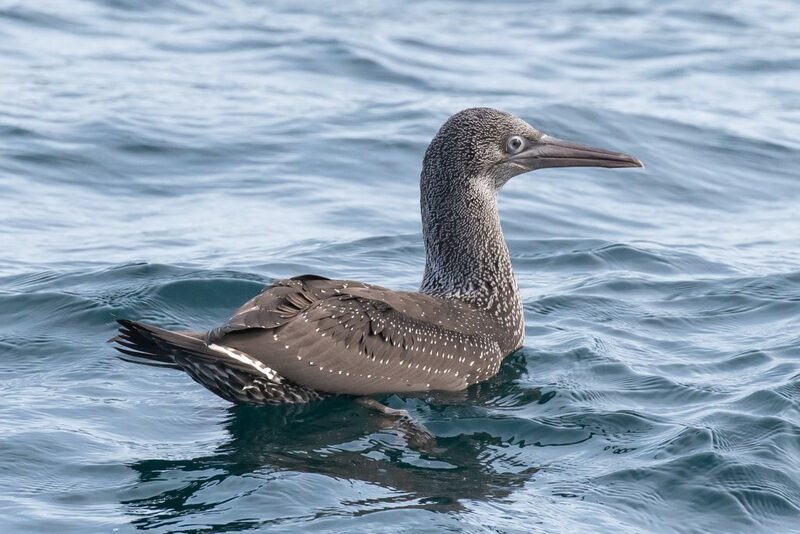 Saturday was our penultimate pelagic trip for 2018; another 10hr Northumberland Ultimate Pelagic out to the Farne Deeps in search of Minke Whale and White-beaked Dolphin. 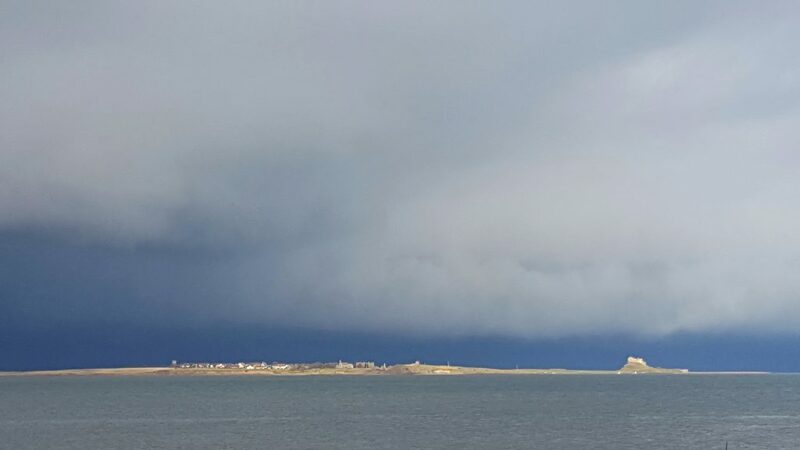 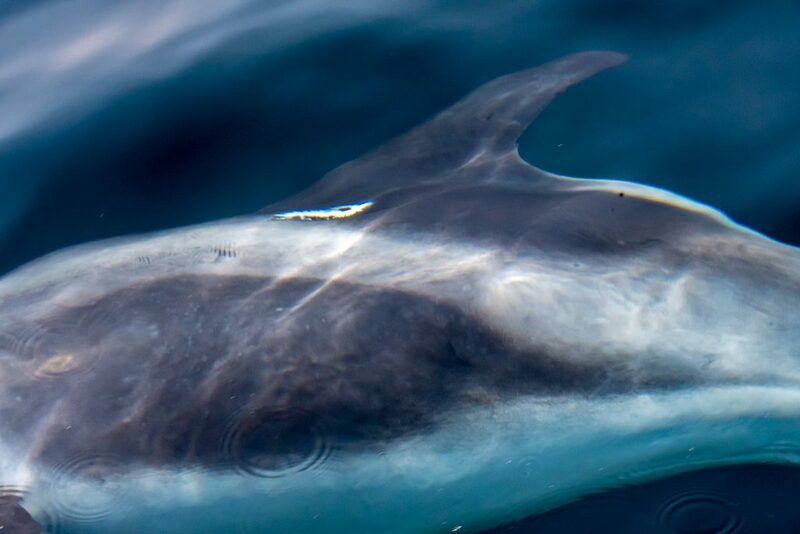 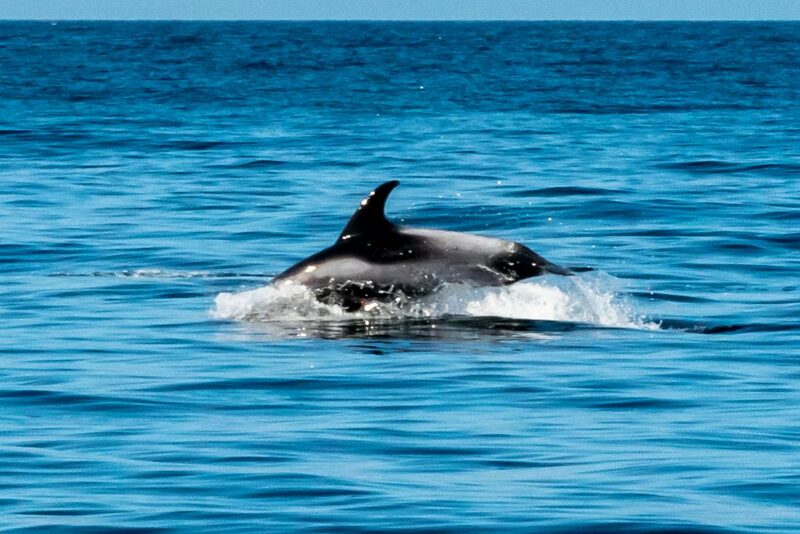 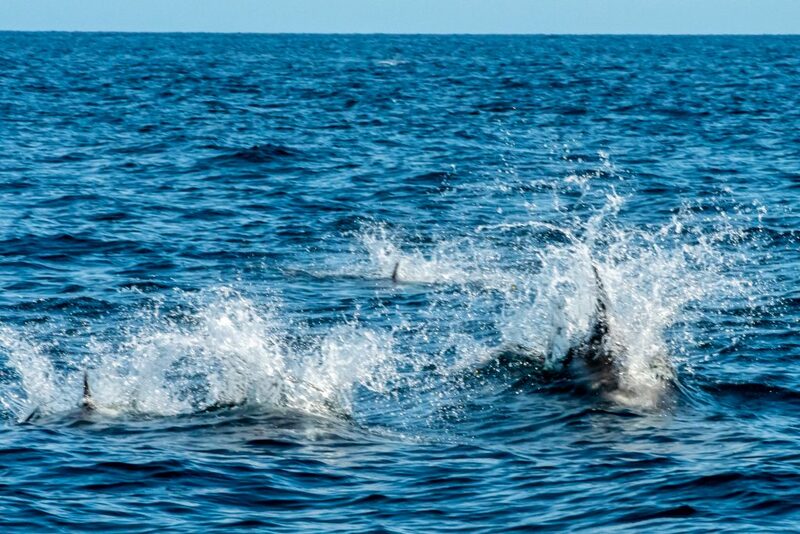 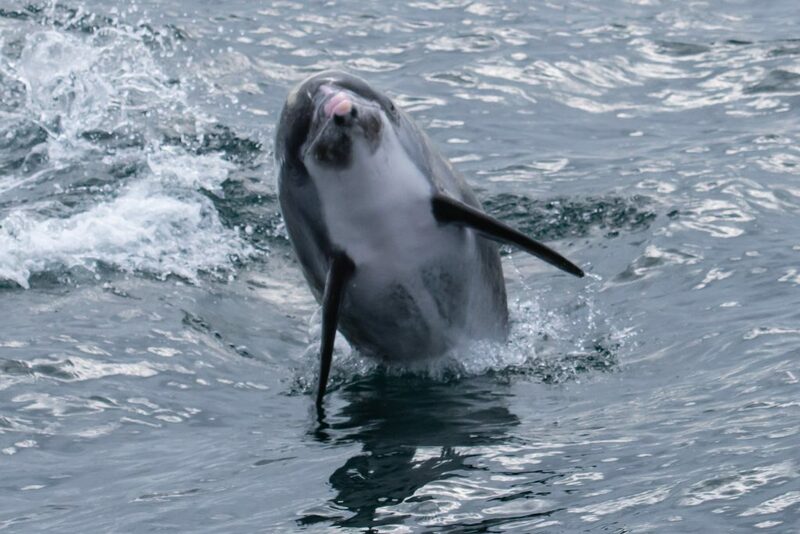 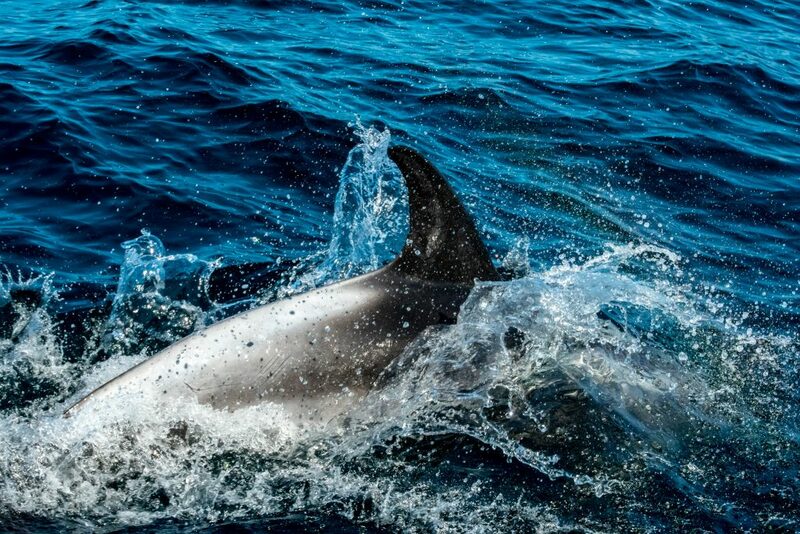 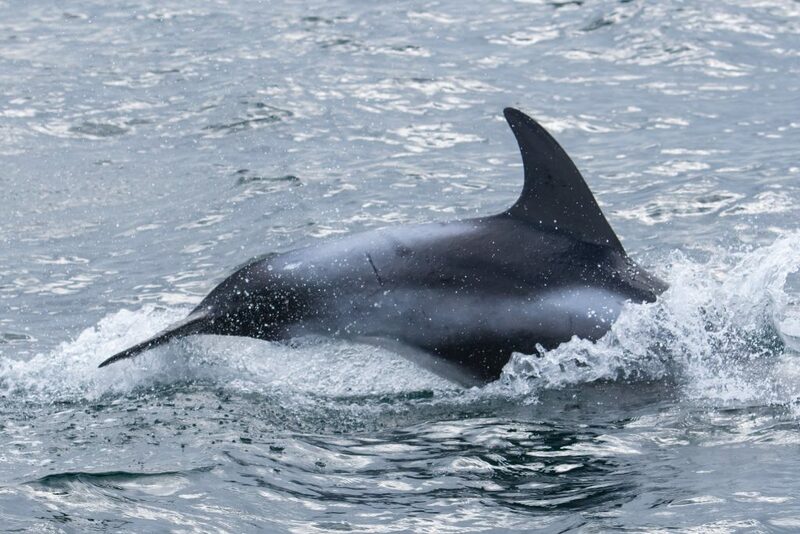 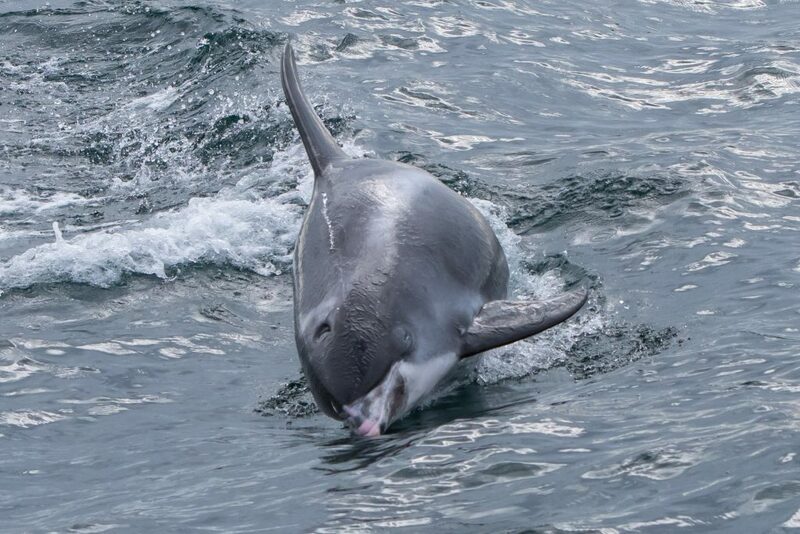 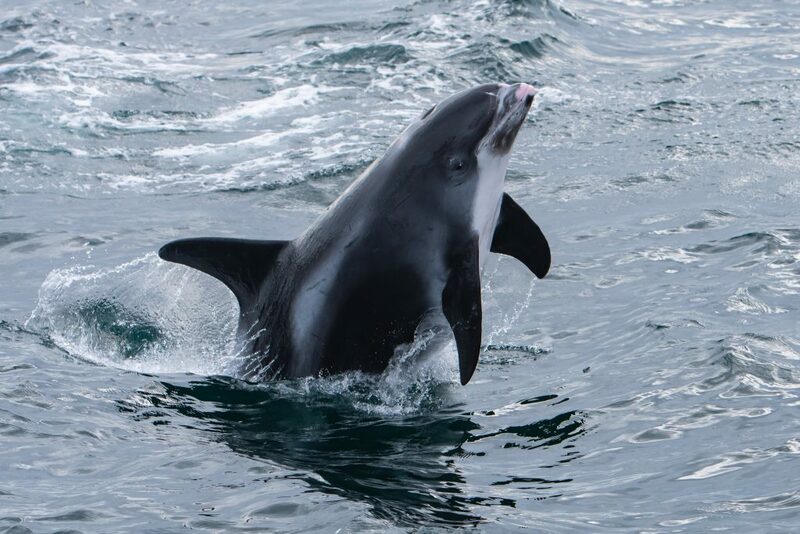 We started our exploration of Northumberland’s offshore waters, as a partner in the North East Cetacean Project, in 2009 and we’ve been able to demonstrate some quite specific site fidelity by White-beaked Dolphins since 2010 so we always know where we’re heading once we’re out of the Tyne. 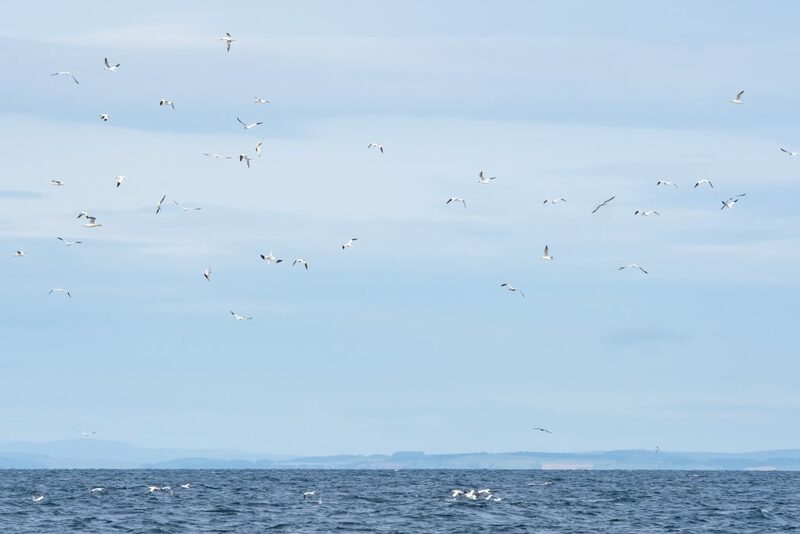 We can get distracted on the way though and while I was watching a distant flock of circling Gannets towards the shore I was sure I’d seen a whale lunge-feeding under them. 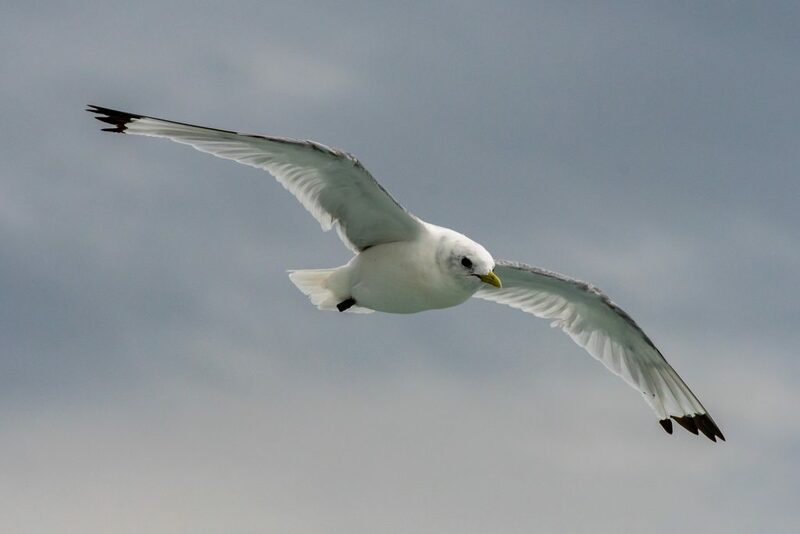 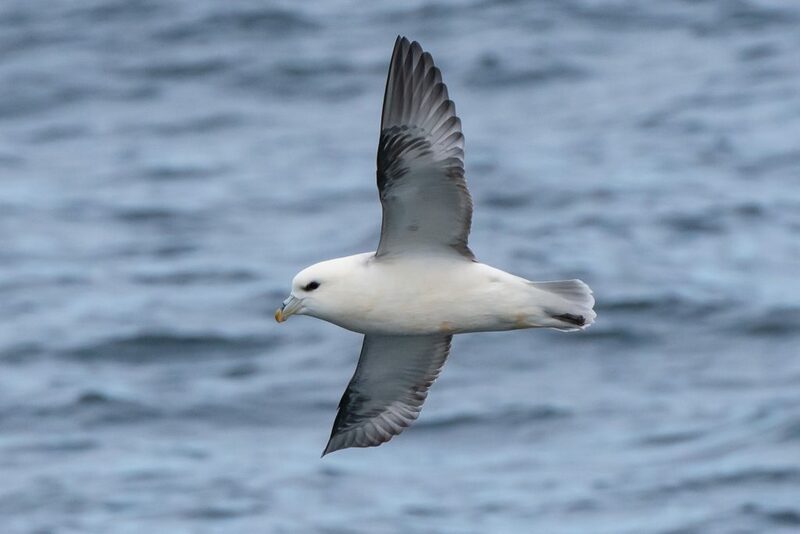 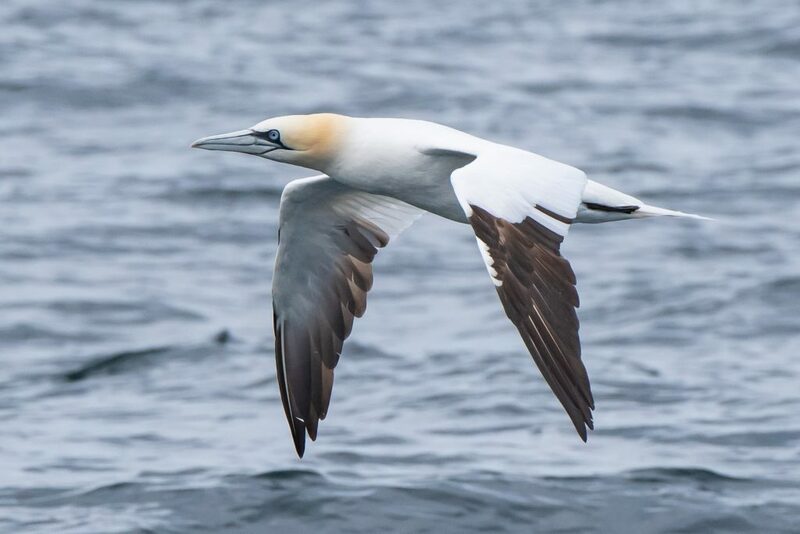 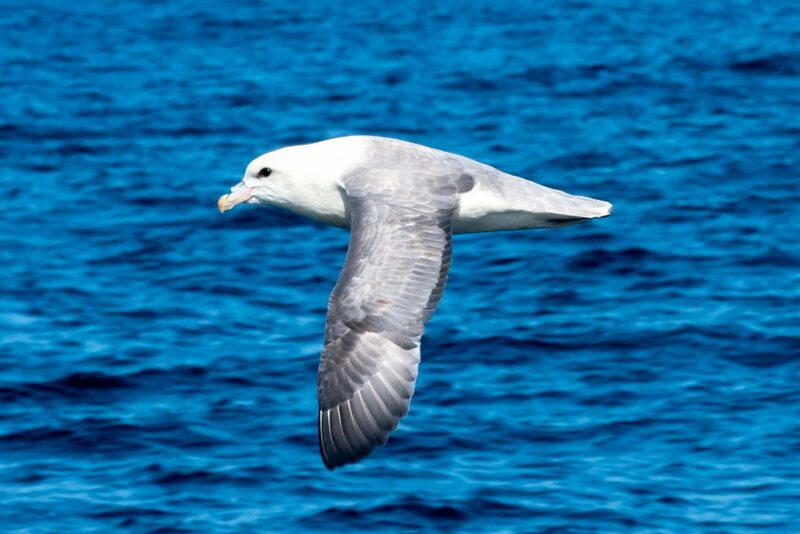 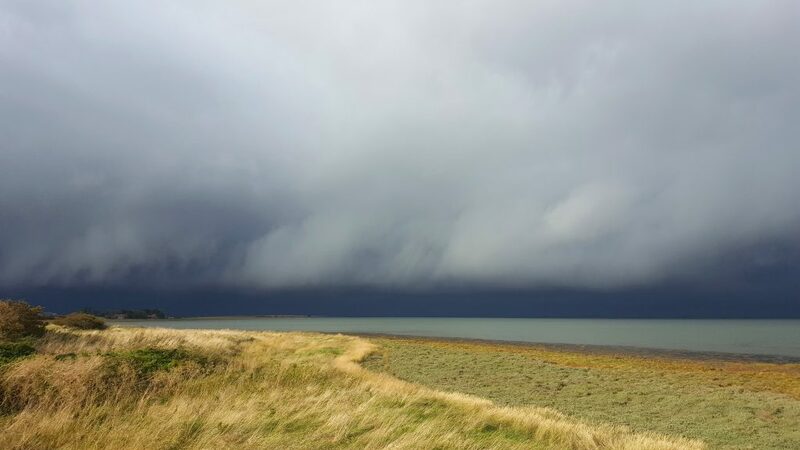 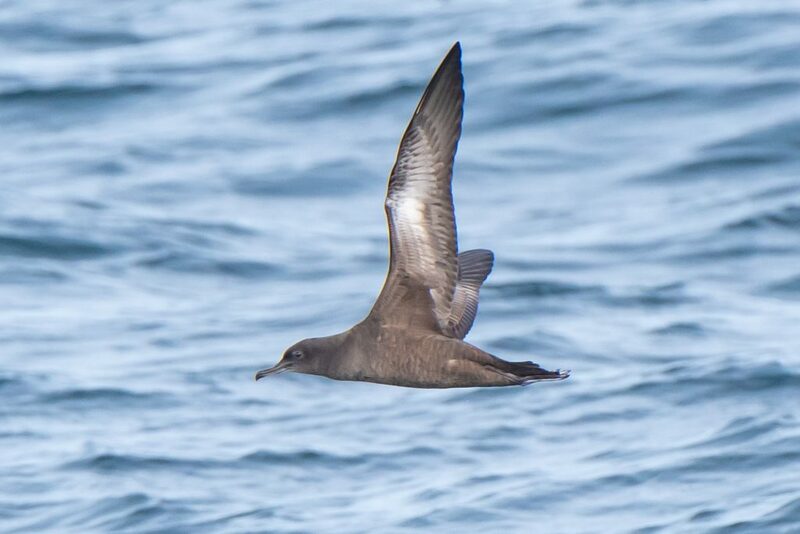 As we approached them they didn’t move away – lots were sitting on the sea and even more were circling and diving, and there were a few Fulmars and a Sooty Shearwater among them too. 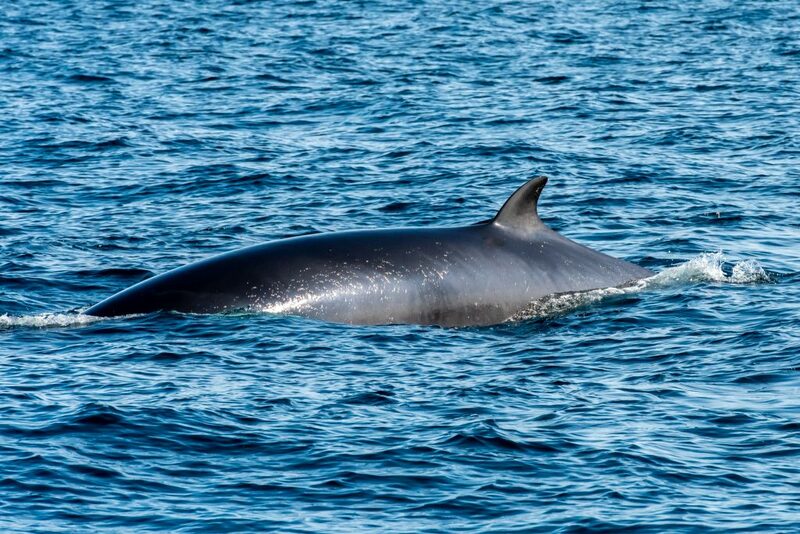 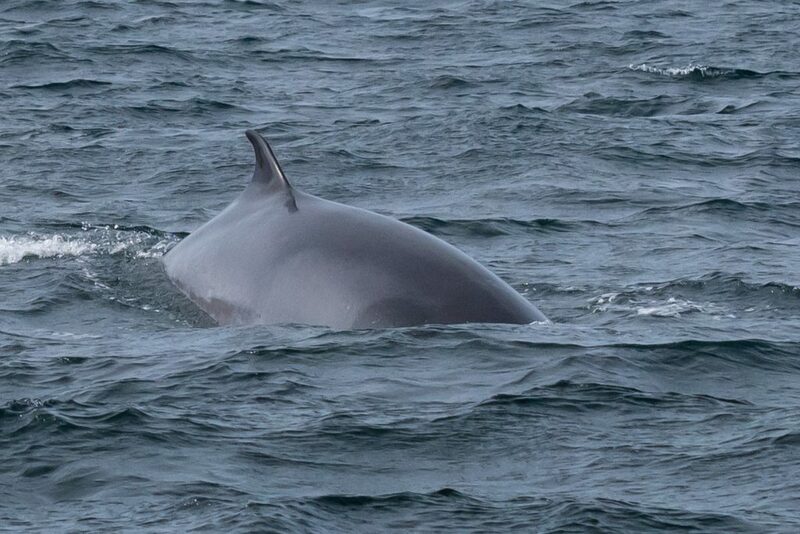 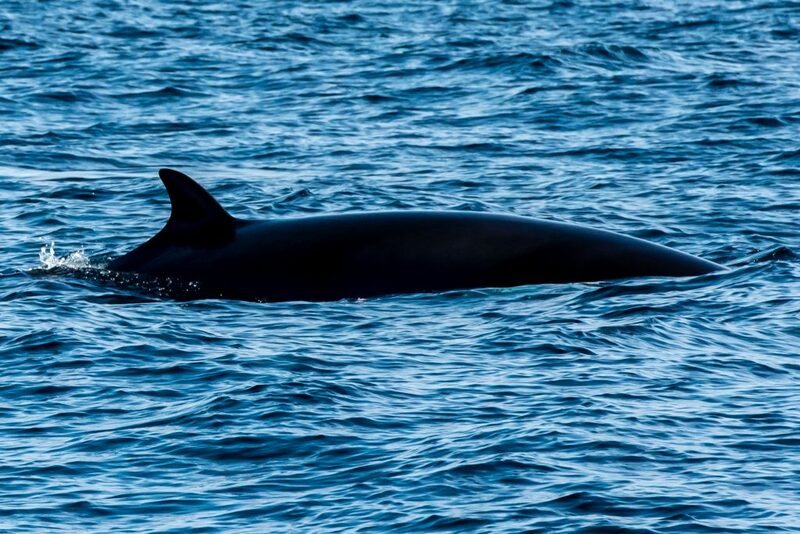 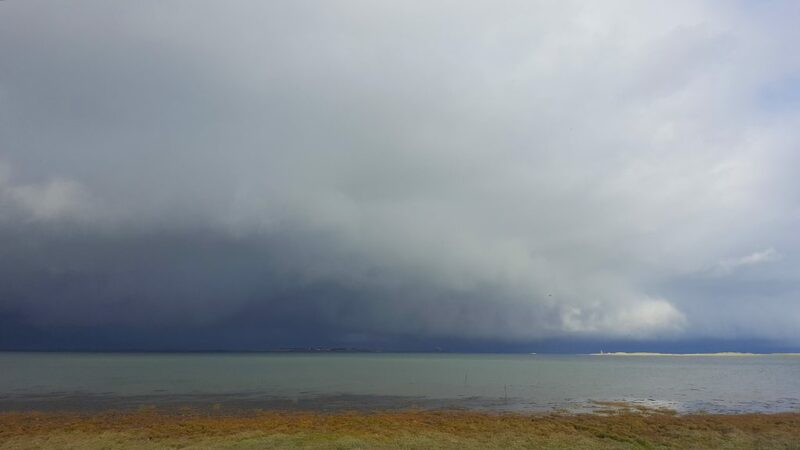 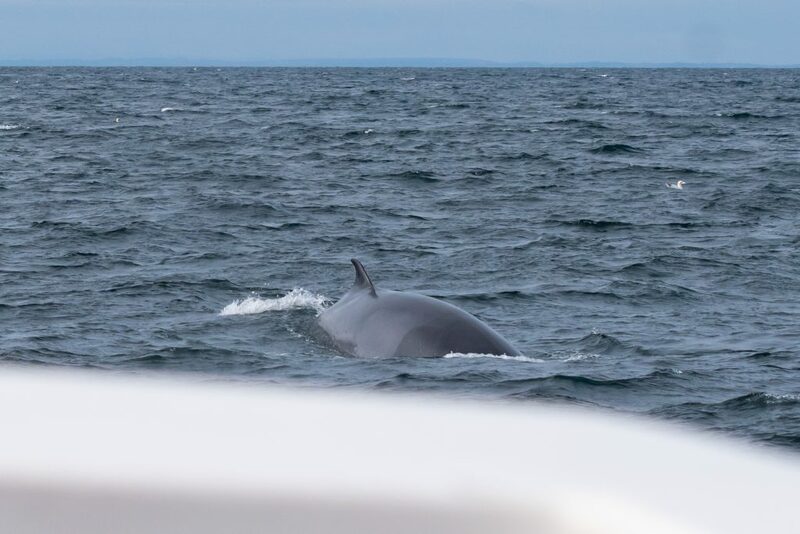 Sure enough, a Minke Whale soon surfaced and came straight towards the boat! 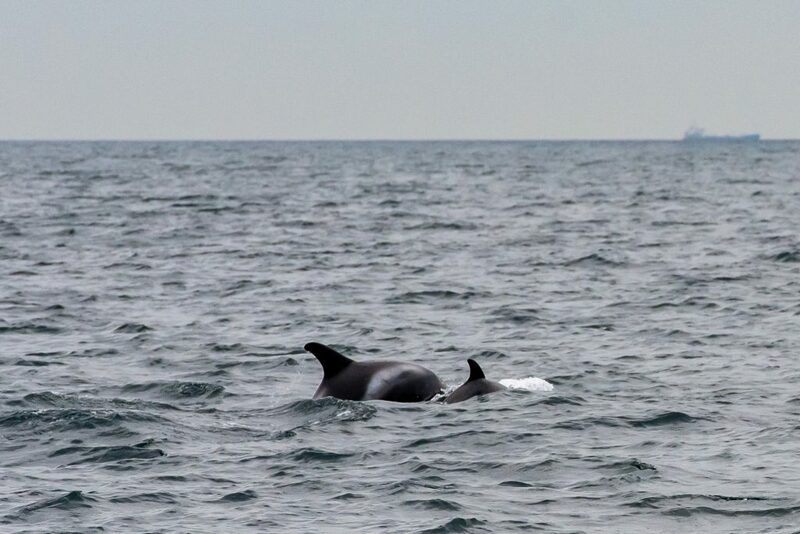 Once it had done that very Minke thing of apparently vanishing without trace we resumed our original course and, right on cue, the White-beaked Dolphins appeared as expected 🙂 Some remarkable bow-riding included a group of 6 dolphins that appeared once we were making tracks back to the Tyne and stayed alongside us for nearly 5 miles!